Earlier this month, I had the honor of placing Broken Blocks II and Broken Blocks III in the permanent collection of the National Gallery in Prague for the institution's 220th Anniversary. It is significant for me to have work in my country of origin. 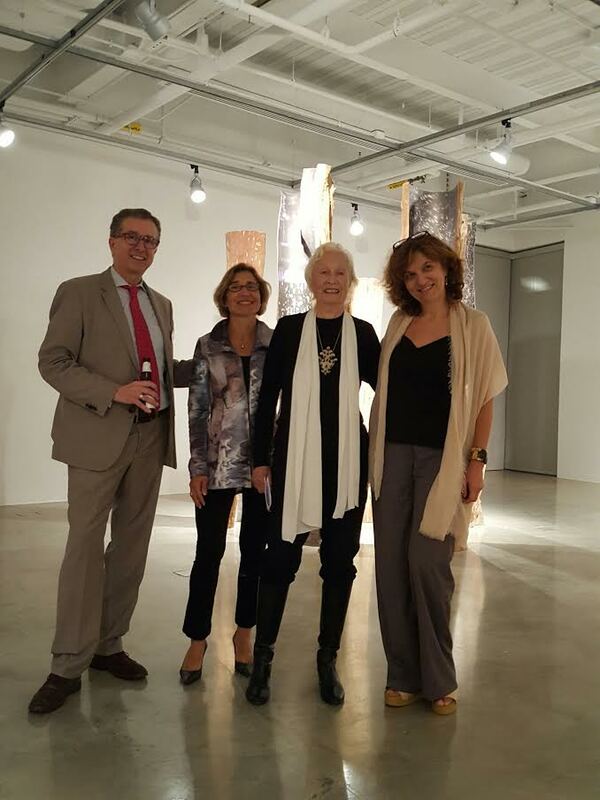 This would not have been possible without the support of my friend and colleague, Milena Kalinovska, who has recently become the Director of Modern and Contemporary Art Collections there. The concept of Broken Blocks started several years ago in the early 1980s. The series is the result of my being totally captivated by the axe. The rhythmic chopping of the wood became intoxicating. Use of the axe allowed me to develop the complex, geometrical design evident in Broken Blocks while at the same time avoiding the mechanical effects left by a saw. Prior to the Broken Blocks series, I had used the axe on various occasions for the sole purpose of taking away mass from the material as opposed to finding the true direction of my intended form. The interrelated lines develop into a pleasing conclusion in Broken Blocks II and Broken Blocks III. Axes are not appropriate for all wood. Care has to be taken in determining the type of wood that is to be used. For example, wood like pine, with rough knots is inappropriate for my specific purpose. Poplar, on the other hand, has the simplicity of straight grains, an advantage for axing. 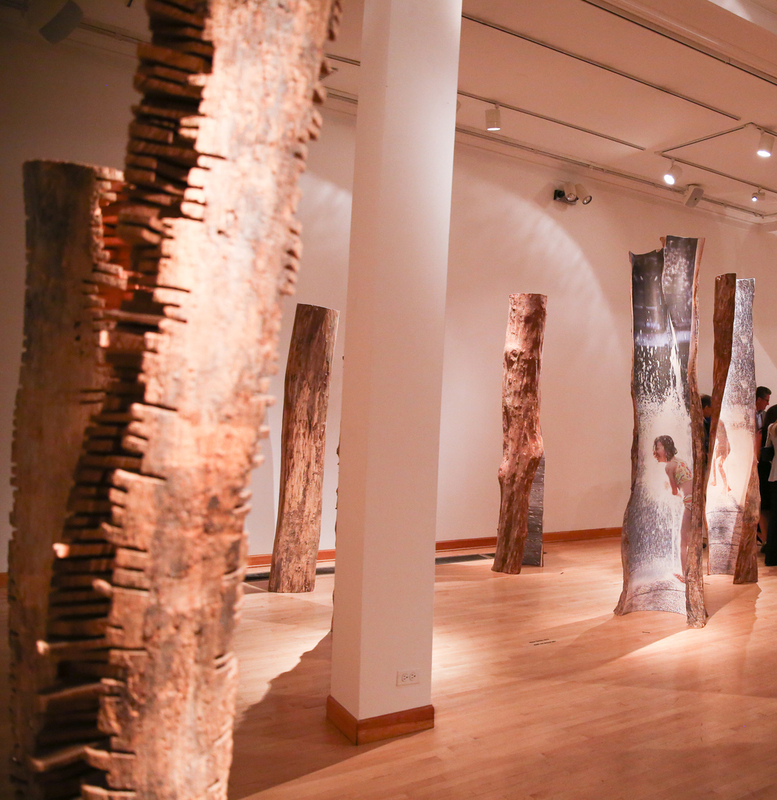 Prior to being placed in the permanent collection of the National Gallery in Prague, Broken Blocks II and Broken Blocks III were installed in exhibitions at the Kreeger Museum (2014), the Virginia Museum of Fine Arts (1990), and the Columbia Square Building in Washington, D.C. (1990). 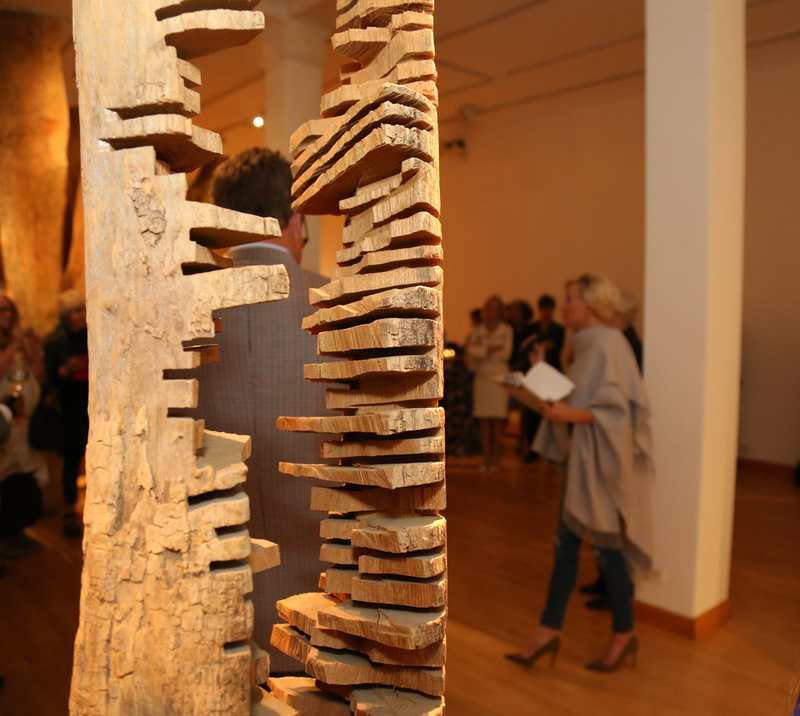 Broken Blocks II and Broken Blocks III will remain on view in the National Gallery in Prague until July 3, 2016. Broken Blocks II, left, and Broken Blocks III, right, as they stand in the Veletrzni Palace in the National Gallery in Prague. Image courtesy of the National Gallery in Prague. After a year's work, the bronze Lament will finally be finished today and transported to Washington, D.C. where it will be installed in a coveted location at the Kreeger Museum. From mold creation, to wax models, to pouring the metal, to chasing the pieces together, Lament has finally arrived at the patina process, a stage I have found most challenging. Patina, is the process by which chemical compounds are applied to the surface of a sculpture in order to get a desired uniform color. I received several samples from Polich Tallix Foundry ranging from greens, blues, browns, and oranges that could be applied to my work. What was overwhelming to me at first was the amount of possibilities that could be done. I had to select an overall color for the work, any undertones for that primary color, and which colors to use for detail areas such as high and low points on the surface of the sculpture. Only with hands-on experimentation at the foundry was I able to see the effects each color made when applied. As a result of my recent visit, I ultimately decided to have the patinist emphasize a dominant green color, with subtle additions of other hues like oranges and browns for slight variations of the green. The final statement is a uniform appearance of a complex composition. You can see my patina selection to the right. Here, the cast is shown without application of patina. I am eager to see all three trees delivered to the museum tomorrow morning. It will be quite a site. This week, the site was being prepared for Lament's installation. A huge hole, 3 feet deep and roughly 9 by 12 feet, was dug out of the center circle at the museum. After excavation, a concrete mixer poured cement into the hole. Even though it was raining, our efforts could not be stopped. Ben Gage, fine arts specialist, and Ivan Delgado, Kreeger Museum Operations Director did a fine job prepping the site for installation. Here the area is shown just before the pouring of the cement foundation. 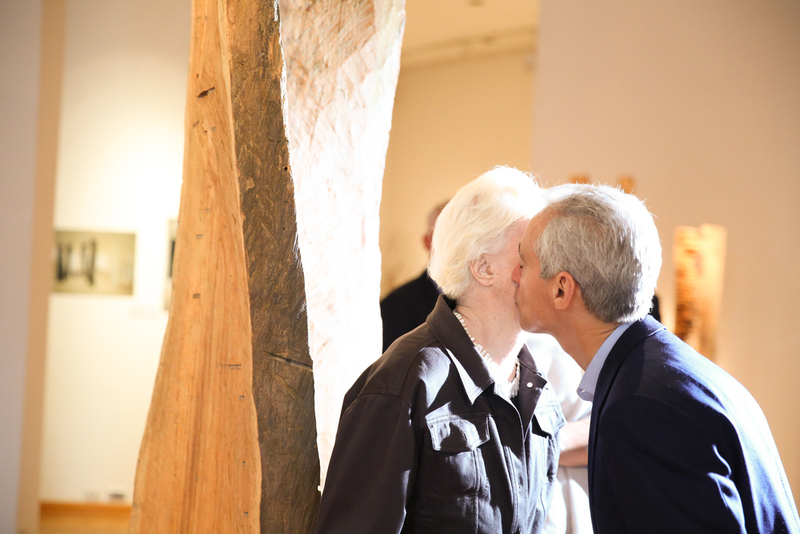 It's hard to believe that already two weeks have passed since the opening of my "Old Medium, New Tools" sculpture exhibit at The Society for Arts, 1112 Gallery in downtown Chicago. Reflecting back on my trip, everything went off without a hitch. I am most pleased with the exhibition debut of "Water Garden", a piece I had completed only a few weeks prior to the opening. The placement of the trees is done in such a way that you can't see all the figures all at once. Similar to my "Family Trees", I intend the viewer to play a "hide and seek" game in order to appreciate the work. 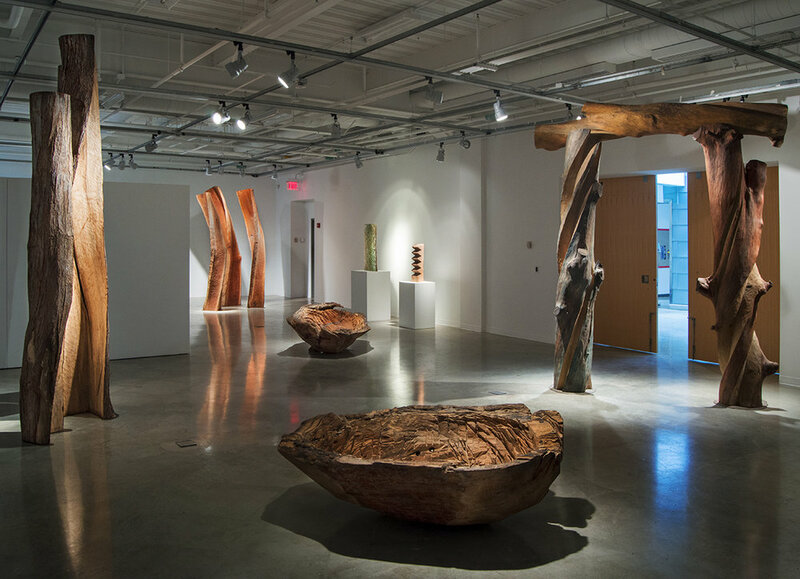 As you walk through or around the installation, each trunk shifts in its presentation of the child figures, giving the viewer multiple perspectives of a single work. "Water Garden" is a new favorite of mine and I hope to exhibit the work elsewhere in the future. One of my favorite photographs taken during the opening is that of a young girl, drawn into my work. Every time I look at the photo, I can't help but to smile because of her interest and natural curiosity. My daughter Mika was present at the reception. 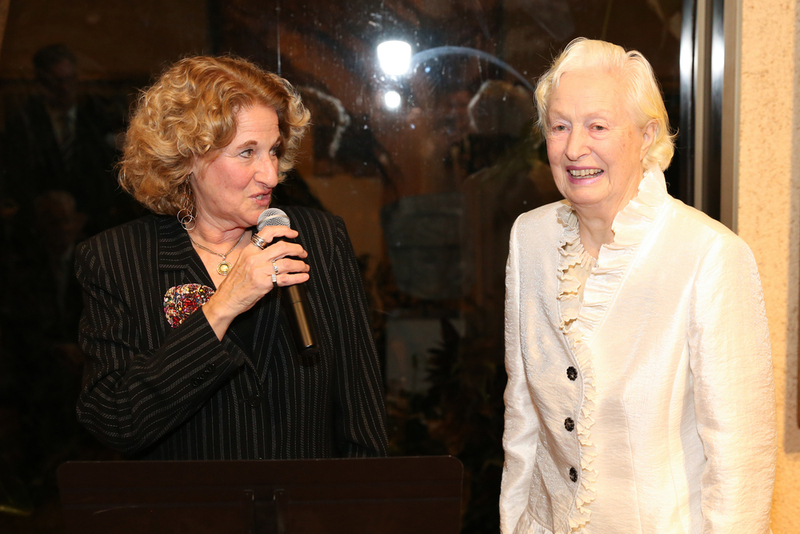 She has become such a pillar of support and thanks to her, an influential audience was drawn to the opening, including Mayor Rahm Emanuel, Dr. Walter Massey - President of the School of the Art Institute of Chicago, and Christie Hefner - a great supporter of the arts, among others. The person who ultimately made this show possible was Christopher Kamyzsew, Society for Arts Executive Director. 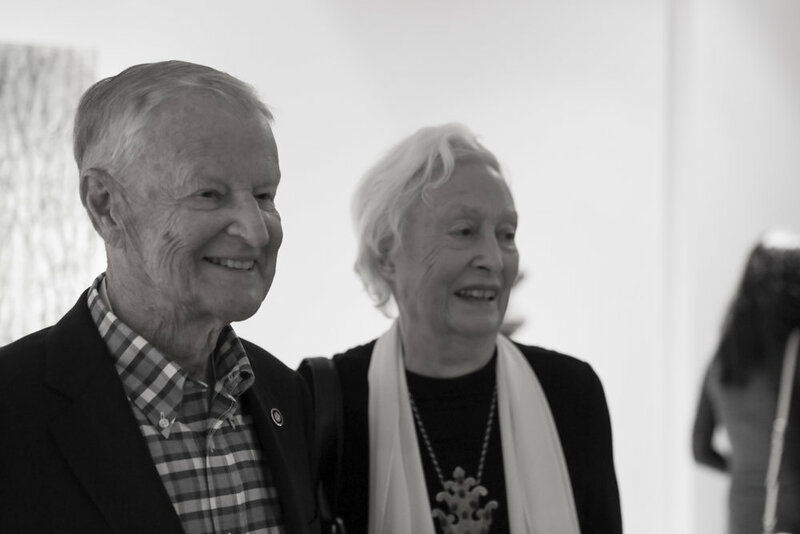 Without his creative resourcefulness, moving such installations to the Windy City would not have been possible. I am most grateful for him, and his entire staff, for the help they gave me. Desert Curtain, shown at the "Construction in Process V: Co-Existence," symposium, Negev, Israel, 1995. Burlap and glue, 7' x 9'6". In 1995, I was invited to participate in a working symposium in the arid Negev Desert region of Israel. Upon my arrival to Mitzpe Ramon, I was swept away by the natural beauty of the location: the layers of mist in the desert sky above the horizon, the broken horizontals of the sand layers below the bluffs. It was these layers that inspired me to make my Desert Curtain, a memory print of what I had found there. It was the same process that I used in my Mold as a Piece of Art series in 1982, where I used rubber molds to make imprints of tree trunks. The Israel project was a challenge as there was no rubber mold material available at the desert site. With a bit of experimentation I settled on using glue and burlap, which made a very transparent and brittle curtain, but which nonetheless held the verticals and horizontals I needed of my chosen sandy cliff. Upon finishing Desert Curtain, a local resident admired it, and I decided to give it to her. She said she would hang the work in the classroom where she taught so that the children would realize what an extraordinary environment they lived in. My Desert Curtain experience made me understand that any created form of the past makes vocabulary for possible subsequent work. Forms such as Mold as a Piece of Art from 1982 can serve as a storehouse for future art projects. Relating the artist’s past works, approaches, and techniques for current works strengthens the overall artistic statement. My sculpture Desert Curtain reveals the rich colors and striations that are hidden in this aerial photograph of the Negev Desert. I discovered the geological overhang, where the colors were present, and couldn't help but to make a print of them. An example from my 1982 series, The Mold as a Piece of Art. Inspired by the movement of Roy Lichtenstein’s Brushstrokes in Flight series, my Bench in Flight I was definitely a “learning piece”. Here, I began to explore my signature crosscut and axe approach when confronted with a complex piece of wood. To date I had been working on pieces of cherry wood, easy to shape because of the even and predictable grain structures, with few branches. But working with oak wood gave me pause. The challenge was how to axe the very uneven surface and yet keep the thrust of the wood intact. I solved the problem by making gentle depressions with the axe between the rough areas where branches made their mark, forming these slight hollows as the direction of the grain suggested. The shifting changes in the direction of the axe resulted in a rich processed surface, while at the same time the thrust of the wood remained dominant. The process in Bench in Flight II is easier to read, clearer in its lesson, however it contains the same approach. My experience with both benches me to cope with any of the uneven structures of wood I needed such as the ones later found in Forest or Blue Diagonals. Bench in Flight I, 1994, 3'6" x 6' x 2'6", white oak. Shown outside my rural Virginia hut. In Bench in Flight I, I paid special attention to the natural designs in the trunk. Bench in Flight I, seen from rear. The legs were from the same of wood as the bench itself. Bench in Flight II, 1995, red oak, 4' x 6'10" x 3'11". Shown at the Kouros Outdoor Gallery in Kent, Connecticut in November 1995. 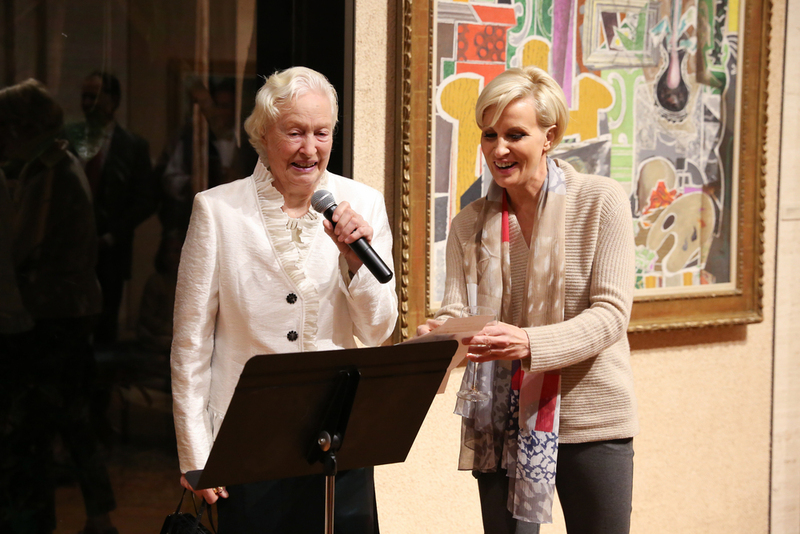 This week, I took down my show at the Kreeger Museum in Washington, D.C. For me, it was a great success considering a monograph, a great opening reception with my daughter there, the support of the Stihl chainsaw company, and the MSNBC "Morning Joe" team. Last but not least, there was a good reaction in the press; yes, there is also something sad about taking down a show, unless of course it goes to a new venue, which unfortunately is not the case this time. Taking down the exhibit was much work. Removing "Ukraine Trunk" from the lower level of the museum took 8 men alone and a few hours at that. Ben Gage, a professional in all sense of the word, and his team of Fine Art Specialists were brilliant in their care for, hoisting, and maneuvering of the work. The removal of the other pieces was relatively simpler, but still no easy undertaking as my work is not light in weight or small in size. Ben Gage and his team gently hoist Ukraine Trunk up the Kreeger Museum stairwell corridor. Lament has yet to be removed from the sculpture garden of the museum. The bitterly cold and icy weather simply did not make conditions right to remove my largest and most significant installation. At least I am given some solace because the work is given new majesty when blanketed with snow. Lament grieves in the winter scene on the grounds of the Kreeger Museum. What did the show mean to me? First of all, along with the book The Lure of the Forest, it meant a thorough review of my work to date. Quite often, an artist is so involved in day to day progress that he does not take in the trajectory of the total work, which was true in my case. There are a lot of details that need to be recognized and fit in, such as, how is it possible for me to all of a sudden include photographic material into my work. 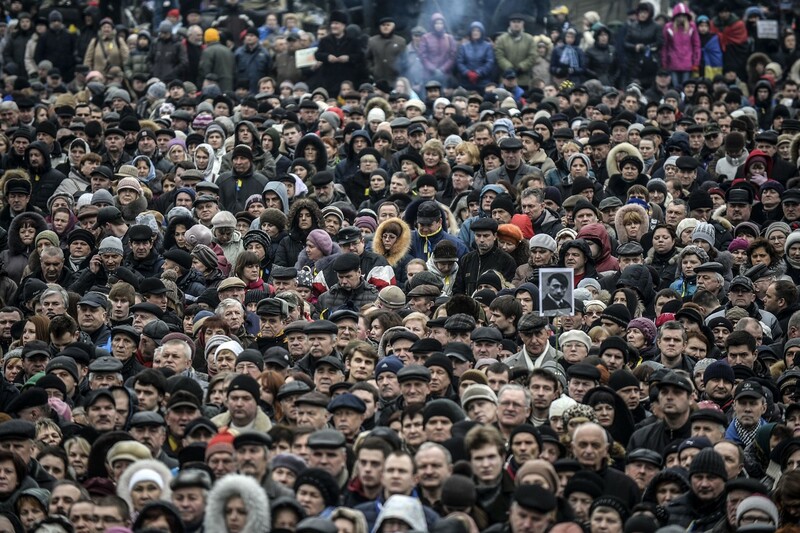 Iconic Shape before the Ukrainian Maidan protests occurred and I saw Bulent Kilic's inspiring photograph in the New York Times. This week has been a time for review, but also a time for me to look ahead at my ongoing projects. Currently, I am looking forward to three in particular which are at different stages in their development. China Gate, which I began a few years ago is inspired by the bulging muscled wood which reminded me of the new strength of China. I have in mind an arch, but right now only possess the crossbeam. I am hoping to find more of the same type of wood to do the two uprights and complete the archway. This will be a challenge. Standing with the "armed" tree. The second project involves a tree I have yet to name. It begs to be made into an expression similar to that of my Iconic Shape, before it naturally evolved into Ukraine Trunk. I found this tree in October 2014 while driving through rural Virginia near the small town of Marshall. As I was incredibly busy with the show at the Kreeger at the time, it has been placed on the "back burner". I had to get my forester, Kevin Smith, to check out what kind of oak it is, red, white, or black. Black oak sometimes needs to be avoided because of its stubborn resilience. I have yet to decide whether I will use this wood for a new sculpture. The Prevailing Wind is a project that has been waiting to be finished for at least one year. Finally, this spring I will be able to go at it because I have the time. For it, I wish to use the chainsaw in a similar manner as I did with Lament, in an expressive emotive manner. 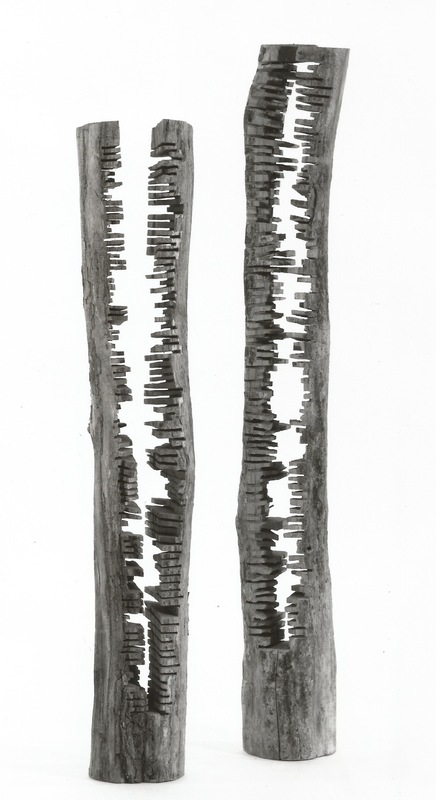 Totems is an early work where I was just beginning to experiment with different woods and using various tools. At this particular time in my career, I was aiming for something alive and surprising. The two locust saplings that I had chosen to make my Totems posed a structural challenge: how to cut the “teeth” on the inside of the saplings. Eventually the solution came to me: cut the saplings vertically down the middle, completely apart, then cut the teeth, then reattach the saplings with three large screws. Totems, 1988, locust. Shorter: 77 inches in height, 14 inches in diameter; Taller: 88 inches in height, 11 inches in diameter. When the parts were put together, I noticed that I liked the screws showing. I made no effort to hide them. The use of visible bolts and staples became part of my vocabulary from then on. Some of my larger pieces, Lament for example, have 10 or 12 functioning metal parts, holding together the sculpture. I began by making sure the two saplings stood well together, and then I made two parallel vertical cuts down the middle of each. There was a blemish on one of the shafts, and I made sure to face it to the outside so that it was a visible part of the design, showing a touch of nature's whimsical way. At the same time, one of the shafts sprung apart with internal tension, giving my composition an additional variant that helped to distinguish one piece from the other. This variant also introduced the element of movement into the work. Now that the locusts were split, it was time to make the teeth. I did not know how wide to make each cut so that the segments would not break. Here I was just following my nose. The most “creative” part of the project was forming an irregular contour for the teeth, which I tried to do with a hammer, but was not satisfied. A sledge hammer did the trick just fine, providing good proportion between the ribs and the hollows. The final look was alive and surprising. 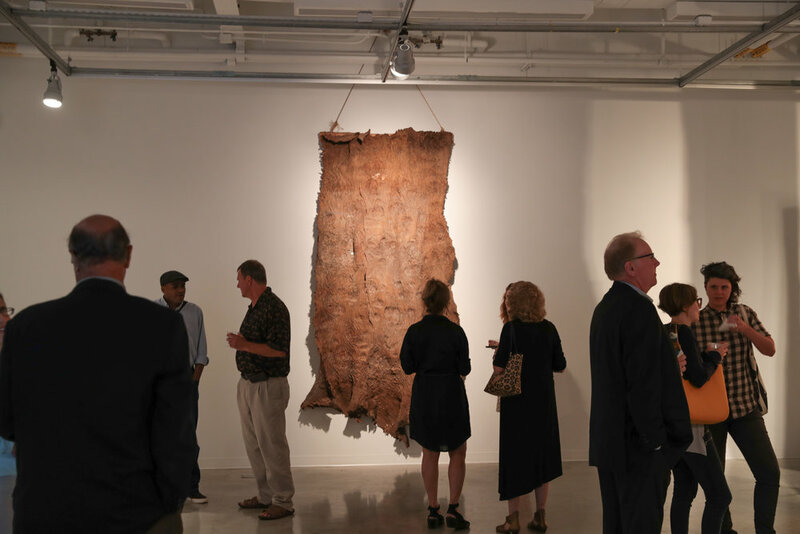 The piece was shown at the Virginia Museum of Fine Art in Richmond, Virginia in 1990 and later at the Philippe Staib Gallery in New York City in 1991. When I first completed Daphne in 1989, I wasn’t aware that I would soon create a second rendition of the famous Greek nymph. In my new work, Apollo and Daphne, the figure of Apollo was added. The creation of this work allowed me to further continue my exploration of using different types of wood for sculpture, in this case, box elder. 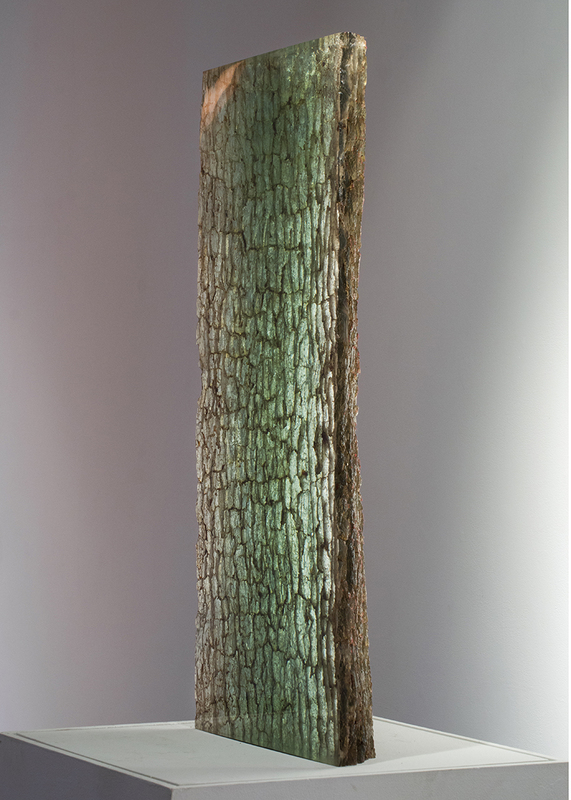 I chose this wood because of its unique surface aberrations, clusters of twigs, and its many surprises, like the discovery of a huge ants nest in the depth of the trunk, the cross-grained growth resulting in a quirky splitting of the wood, and its hovering uneven trunk. These surprises give the sculpture a unique life. The spirit of the theme in Apollo and Daphne, Daphne’s narrow escape from a predatory Apollo, is caught in the upward twisting movement of the two sections of the trunk. Unlike Bernini’s work, the story in my Apollo and Daphne is conveyed totally in the abstract manner. The tool marks are fresh, last minute cuts following the pattern of the grain, or in some areas, nonchalantly go off-course. No polishing or careful smoothing was used. 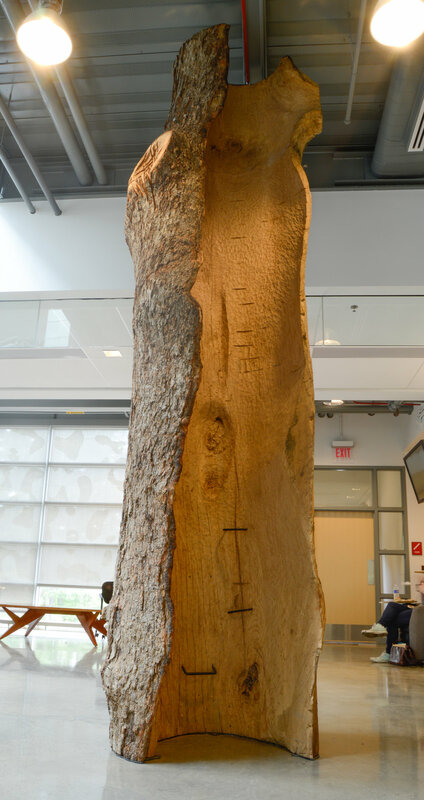 Sections of the outer edges of the tree are maintained in the composition to keep the feel of the original tree trunk. 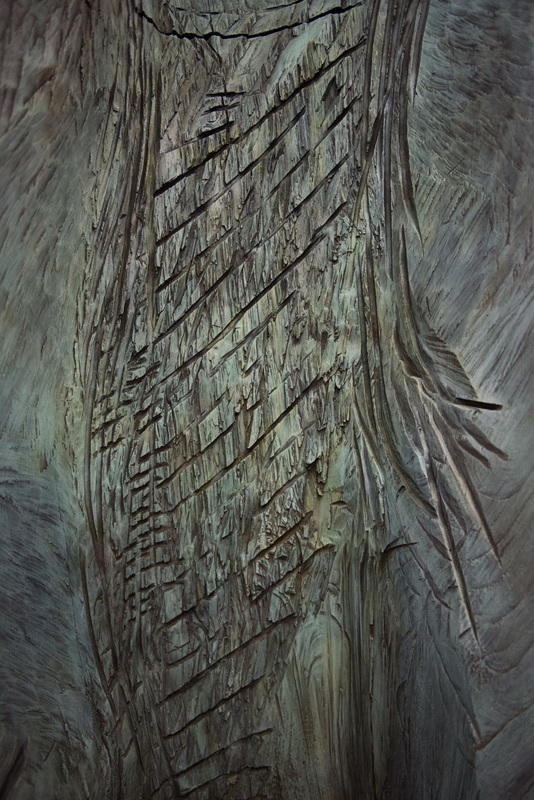 Here the imperfection of nature triumphs as the work plays out the collaboration between the artist and the material. The sculpture rests in the permanent collection of the Corcoran Gallery of Art. Apollo and Daphne, 1994. 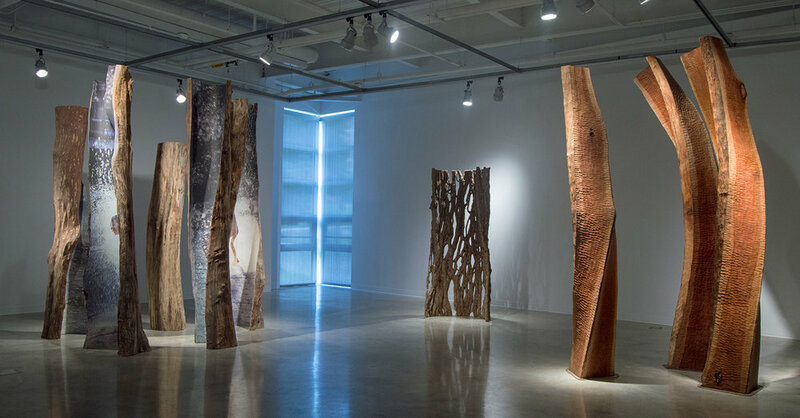 Box elder, dimensions variable, Apollo (left): 108 x 42 x 36 inches, Daphne (right): 114 x 42 x 36 inches. Corcoran Gallery of Art, Washington, D.C. The above image of a box elder reveals the quirky pattern of chipping. Maple Cascade is an early work of mine created in Poland when I was attending a working symposium called Construction in Process. Participants came from over the world to create new forms and attend this bohemian gathering. My contribution to this art project was made out of three typical maple branches that grew first one way, then another way, and back, a pattern which I found pleasing and focused on in this piece. In those days, shortly after the fall of the Berlin Wall, wonderful spaces were easy to find in Lodz, Poland, with all the empty and deteriorating factories, warehouses, and large, broken down manors. 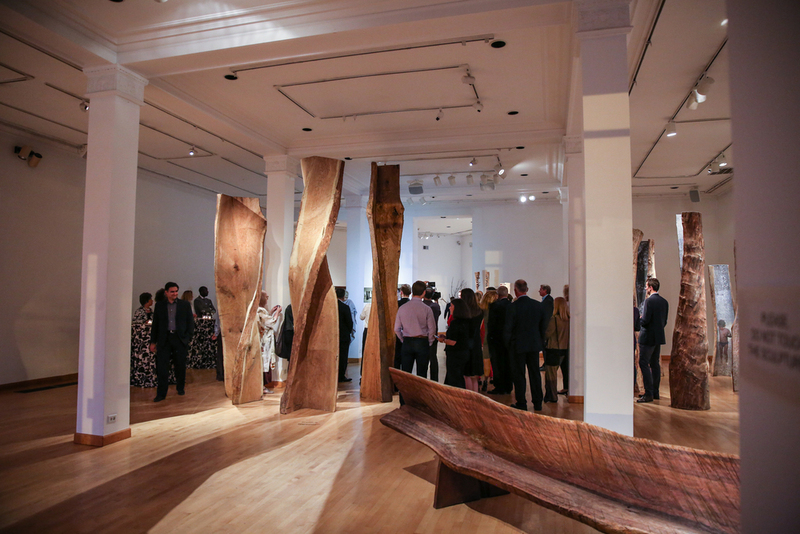 This sculpture’s impact was magnified by its environment, as site-specific installations should be. The curving staircase made a sharp contrast with the pell-mell arrangement of the maple branches. The work was rough cut with a chainsaw, and then finished with an axe. Maple Cascade, 1993, 14 feet long, 14 feet long, 12 feet long, maple wood. Featured in “Construction in Process IV – My Home is Your Home” outside Grohman Palace, Lodz, Poland in 1993. Photograph by Leszek Czolnowski. Lament is one of my most recent and exciting installations where I used the chainsaw to bring out the emotive elements in my artistic statement. Currently, the 3-piece installation is on exhibit at the Kreeger Museum in Washington, D.C. and will be through the end of 2014. MB: What is the title of this work? EB: This piece is called Lament. Pausing for a photo after just finishing my Lament. MB: What are the origins of the three trunks in Lament's composition? EB: When searching for wood in rural Virginia, I discovered a fascinating trunk which unlike most red oaks, was not growing vertically, but rather making a huge arc along the ground growing skyward. This trunk was so extraordinary, I eagerly pursued procuring it for a future work even though I didn't know what I was going to do with this particular bent piece. By the time I got the bent trunk to my studio, I realized the trunk had within it the theme of grief. It took several years for me to realize that this extraordinary arched trunk should be part of a composition of three. The largest of the three trunks in Lament I found at the top of a pile of "junk wood" ready to be burned by a mill in Virginia. I gladly saved this large trunk before its fate. MB: These trunks are larger than those you have used previously. Is it difficult to work with trunks in such a monumental scale? EB: I always work on the ground where the material is easily accessible to the use of my tools. For me, there is very little difference between large trunks and extra large trunks. I have what is needed in my studio to handle material that weighs up to 5 tons and have yet to encounter any problems when working with trunks of this scale. MB: What do you plan to do with Lament once The Lure of the Forest exhibit at the Kreeger Museum concludes? EB: Upon the exhibit's conclusion at the Kreeger, I would like to plan a traveling show that would allow Lament to have a national presence. My long-term desire would be to find a means of casting this monumental expression of sorrow into bronze. A bronze casting would give the piece permanence, something it lacks in its present medium. Upon casting the work, I envision the bronze Lament placed in a setting that commemorates a tragic event. 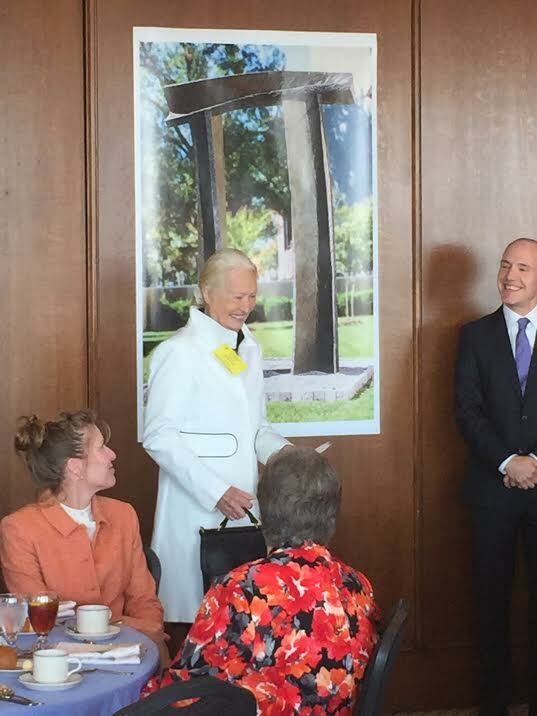 WASHINGTON, D.C. – A luncheon commemorating the sculpture, Arch in Flight, was held today at the Federal Reserve building on Constitution Ave.